2018 EuroCIS Feb.27-Mar.01-Thank you for your coming!! 2018 EuroCIS has successfully ended on Mar. 01st. 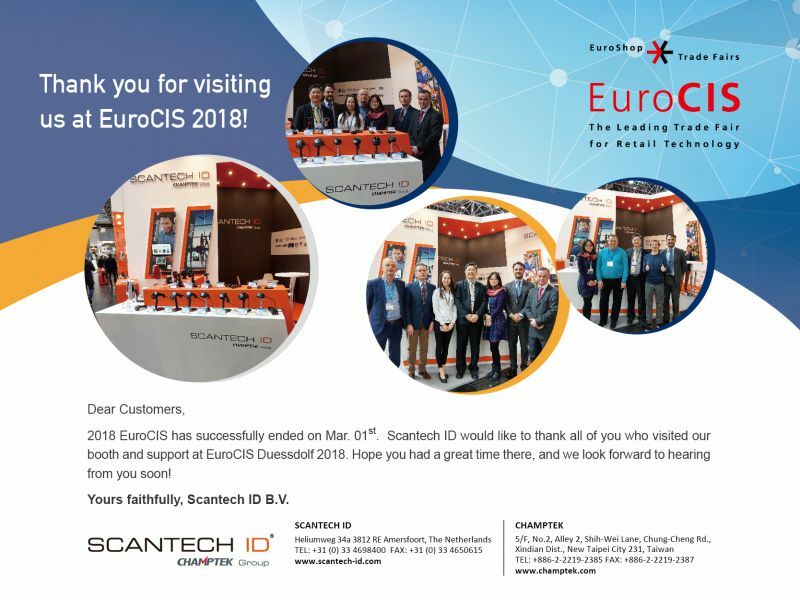 Scantech ID would like to thank all of you who visited our booth and support at EuroCIS 2018. Hope you had a great time there, and we look forward to hearing from you soon!